It is an essential item for packing. The price is cheap and easy to use. It is strong. I always repeat. This review is about item#07584236. It was a private brand, but I am satisfied without a great deal of quality. This review is about item#7584236. Arrival was also attached quickly smoothly. I'm satisfied. Adhesion is sufficient and it is very easy to use. The tape is also thin but firmly strong. This review is about item#9444845. Inexpensive, adhesive strength is OK. When sticking, it is a little easy to follow, and when the tapes stick together they can not be peeled off, and it may be wasted. It is dissatisfied that it may come off from the place where the adhesive strength was weakly attached. It is difficult to use because it cuts vertically. It may be better to buy something better. It is thin, but it is the same as selling to the home center. We use it as a curing material. It is used to fix the curing material of the wall floor. It is easy to use because the adhesive strength is strong. I will buy additional when I want to make it 3000 yen. Quality is not a problem. I have reliance because there is adhesion. I will ship the goods stuck on the cardboard. Strings are unnecessary. Compared to the product purchased from the home center, the strength is insufficient! Purchased for business as requested. It was said to be torn easily when torn down and unusual. I also use it, but I think that there is no problem if it does not break tearing vertically when cutting. Above all, high cost performance is good. 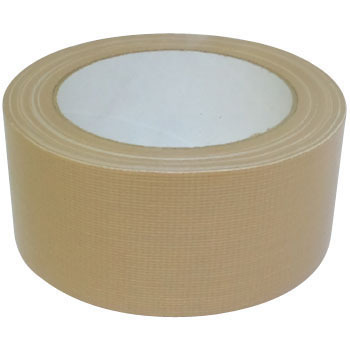 It is an ordinary cloth tape. Because it is cheap, it can also be recommended for many people using it. I try to cut it a little by trying to cut it by hand. Adhesion is normal. I am using this as a tape for moving because it is strong. This item can be purchased cheaply, quality is reasonable. I am saved. Although I was using other products, I tried writing this for the first time, but it was surprisingly a product that was quite effective.